After months of planning and stakeholder engagements, CPPA piloted the Info-Literacy capacity building project. 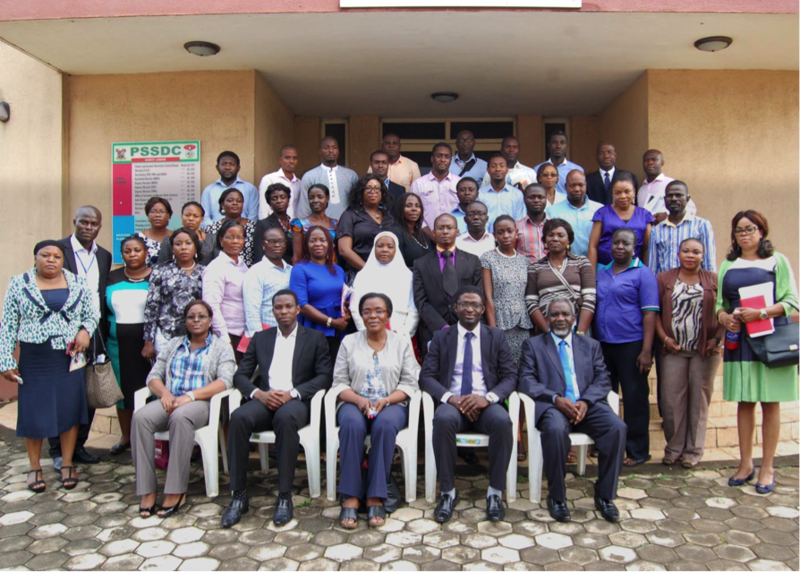 The training was held between 29th and 30th September, 2015 at the Lagos State Public Service Staff Development Centre (PSSDC), Lagos, Nigeria. Participants at the training were drawn from four key agencies in Lagos state: the Lagos State Waste Management Authority (LAWMA), Lagos State Environmental Protection Agency (LASEPA), Primary Health Care Board (LSPHCB) and the PSSDC. The INFO-LIT project was designed to strengthen the capacity of staff of the Health, Solid Waste Management and Sanitation agencies to collect, collate and use information in their operations; with the central objective to improve the information literacy of staff of these agencies, enabling them identify, use and present data in formats more easily understood by policy makers and the general public. The various topics of discussion during the training include: an overview of data – types and sources of data; data collection process (data quality, data validation and data quality assurance); data processing and analysis; data management, organization and presentation (translating data to e-format); research ethics; inter-agency collaboration and importance in data triangulation for service delivery. The training addressed issues raised during the stakeholder engagements and needs assessment. Discussions at the sessions helped to deepen knowledge of information literacy and importance of data to service delivery. Participants had ample time to discuss and contextualize examples to real life issues as regards their work and service delivery. Participants also confirmed that the gaps in information literacy expressed during initial stakeholder engagement were properly addressed. Although the training needs assessment undertaken helped to focus training content and ensured relevance to the needs of the group trained, a need for continued support with information and learning updates emerged. The training event provided an opportunity to establish a virtual network that will be anchored by CPPA. It is expected that the network will grow into a professional learning community and might serve as a platform for dialogue on data use for service delivery and urban development. Plans are for CPPA to convert the training materials into and interactive knowledge tool to be made accessible through our website. CPPA partnered with the International Network for the Availability of Scientific Publication (INASP) in implementing the INFO-LIT project funded by the VakaYiko Consortium. The project enjoyed the support of the Lagos State Public Service Staff Development Centre. CPPA facilitators included: Mojisola Akpojiyovbi, Michael Falade, Oyindamola Popoola, Josiah Aramide and Muyideen Oshodi. To learn more about the Project, read our earlier post. VakaYiko is a three-year, INASP-led project that aims to build: individuals with the skills to access, evaluate and use research evidence; processes for handling research evidence in policy making departments; and a wider enabling environment of engaged citizens, media and civil society. As part of the project, eight VakaYiko grants have been awarded to individuals and projects in Africa, Asia and Latin America to build the capacity of policymakers to use evidence in policy making. This project is funded by DFID under the Building Capacity for Use of Research Evidence (BCURE) programme.